That's right.... everything you have previously learned about file fragmentation and defragmentation is wrong! Close your eyes, count to 10 and erase everything you have read, learned or think you know about defragmentation. If your brain has a delete key, press it now! There are about 20 other defrag programs out there on the market, some free, some paid, all trying to sell you on the merits of defragging your hard drive. Unfortunately they, and their products, are selling you short and not giving you the performance gains they are claiming. 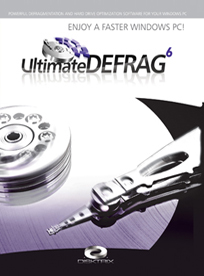 Through the next 7 easily to follow screens, you're going to be re-educated and learn the true objective science behind file fragmentation and how to truly improve your hard drive performance via the defragmentation process. There is only one software product in the world that enables you to do it. It's founded upon the objective science of it all - a little bit of Pareto's Law; a little bit of thermodynamics; a little bit of angular velocity and a little bit of a few other scientific principles.